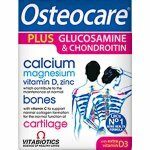 Osteocare Liquid has been scientifically developed on the basis of the very latest research and provides a rich source of calcium and co-factors in a smooth, great tasting liquid. 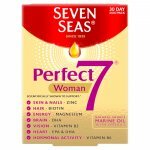 The formula also provides vitamin D which helps with the normal absorption of calcium by the body. 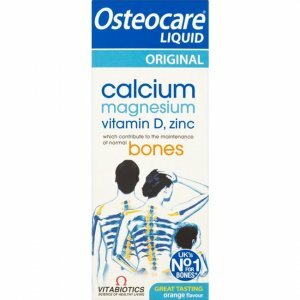 Osteocare Liquid carefully combines calcium with co-factors including vitamin D, zinc plus magnesium which help to maintain normal bones. This liquid formula is ideal for those who have difficulty with swallowing tablets, and provides calcium, magnesium, vitamin D and zinc which contribute to the maintenance of normal bone health. Getting enough calcium is especially important for men and women over 50, during pregnancy and breastfeeding, and during and after the menopause. With a delicious orange taste, Osteocare Liquid is ideal for children. Osteocare liquid provides calcium and vitamin D which are needed for normal growth and development of bone in children. Osteocare Liquid contains no dairy products and is 100% fat free. It is ideal for those using soya milk who wish to supplement their diet with calcium and magnesium. Osteocare Liquid is also suitable for vegetarians. 2 teaspoonfuls 1-2 times daily. 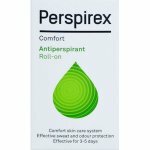 Purified Water, Raw Cane Sugar, Stabiliser: Sorbitol, Calcium Carbonate (as Calcium Salt), Magnesium Hydroxide, Riboflavin Phosphate, Veegum, Carboxy Methyl Cellulose Sodium, Zinc Gluconate, Natural Flavourings: Mint Oil (Propylene Glycol, Purified Water & Polysorbate 80) & Orange Oil, Preservative: Potassium Sorbate, Emulsifier: Polysorbate 80, Vitamin D (Cholecalciferol).